The first County Hurling Championship final of 2017 takes place on today Sunday 16th July, when Killavullen (Avondhu) take on Whites Cross (Seandun) in the final of the County Junior B Hurling Championship in Pairc Ui Rinn @ 7.30pm. Neither club has won this championship previously, but both clubs have reached the final, with Killavullen contesting the finals of 2006 and last year where they lost to Whitechurch after a replay, while White's Cross contested the 1991 final. Killavullen GAA club is one of the oldest official clubs in North Cork, with the club being founded on the 15th of February 1888 in the parish under the auspices of the Gaelic Athletic Association. White’s Cross GAA Club was formed in 1957 with Fr. Bernard as President. Denis O’ Connell was the first chairperson, with Declan Burke and Danjoe Kelleher acting as secretary and treasurer respectively. The club won its first silverware in 1964 when they were crowned East Cork Junior Hurling League Champions. Both clubs are seeking their first title in this championship. 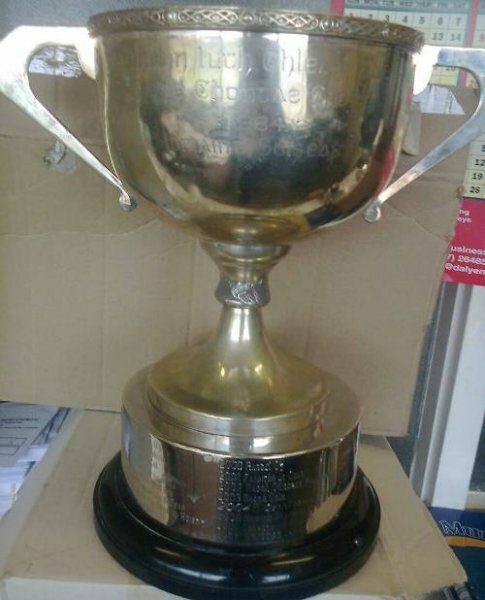 The cup presented to the winners of the County Junior B Hurling Championship is the Junior B Hurling Championship Cup. This cup was first presented in 1984.